Andrew Gillum admitted defeat following a recount in Florida. 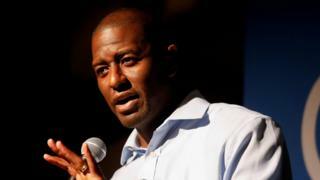 Democrat Andrew Gillum has admitted defeat to his Republican rival in the race to be named Florida’s governor – for the second time. Mr Gillum, who hoped to be Florida’s first black governor, congratulated Ron DeSantis in a tweet, 10 days after he first conceded the 6 November election. He withdrew the initial concession after Mr DeSantis’s lead narrowed to 0.41%, triggering a recount. A recount has also been ordered in Florida’s Senate race. Unofficial results revealed Republican former governor Rick Scott was leading Democrat Bill Nelson by just 0.15% for a seat in the US Senate. 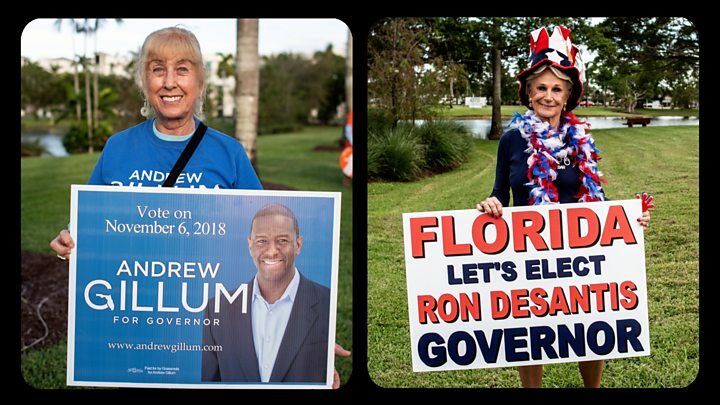 Taking to Twitter on Saturday night, Mr Gillum – the mayor of state capital Tallahassee – paid tribute to his team, thanked voters and vowed to “keep fighting”. “In the end, I believe that we will win,” he wrote. Mr DeSantis – a staunch supporter of US President Donald Trump and his policies – replied to the tweets, saying it was now “time to bring Florida together”. The recount has been controversial. Mr Trump and Republicans have claimed voter fraud without offering any evidence. Mr Trump had also said there was “a lot of dishonesty” over contested votes. Again, he offered no evidence.